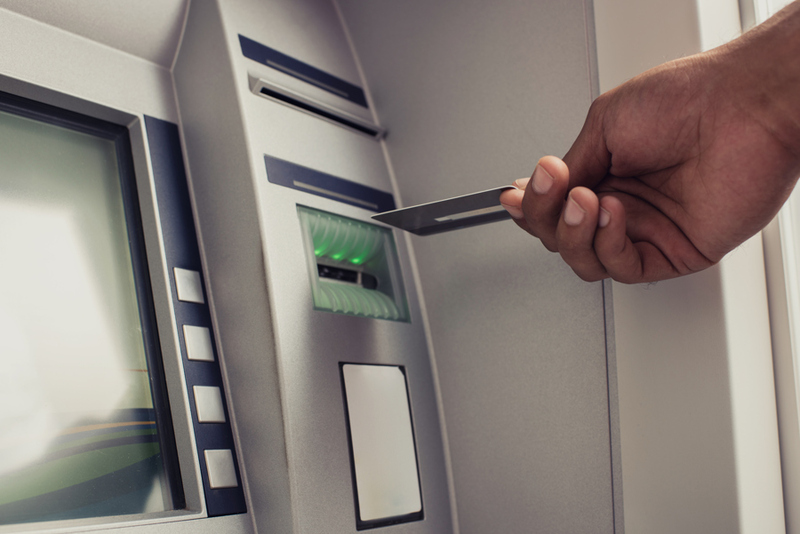 Learn how to stay safe when using the ATM and your Debit card by reading each tip below. When you use an ATM, be aware of your surroundings. Look out for suspicious activity near the ATM, particularly if it is after sunset. At night, be sure the area (including the parking area and walk ways) are well lighted. Consider having someone accompany you when you use the ATM. Avoid using ATMs that are out of the way or in deserted areas. Be sure to look at the ATM. More and more, thieves are looking for ways to steal ATM and debit card information. If it looks like someone has tampered with the machine do not use it. A “skimming’ device could be attached to the machine to rob personal information. If you notice anything suspicious, contact the authorities immediately. REPORT A LOSS OR THEFT! Report lost or stolen cards to the bank immediately! Protect your card as if it were cash. Don’t tell anyone your PIN. Don’t give anyone information regarding your card or PIN over the telephone. Don’t write your PIN where it can be discovered. Do not let anyone other than you use your card, not even other family members. Always make sure to take your ATM card out of the ATM. Never write your PIN on your card or have it in your wallet, memorize it. If your wallet or purse is stolen, someone else could have access to your money. When choosing a PIN, avoid using a number that is easy for others to guess, for example, your name, phone number, date of birth, or very simple combinations. When shopping, always make sure you get your card back. Unfortunately we live in a world where thieves are everywhere, even the clerk at the department store could be planning to “skim” your card number. Always make sure that your receipts are correct, if not point out to the clerk at the time of the purchase. Review your statements regularly and contact the bank immediately if you do not recognize a charge on your statement.